Our heat wrap is perfectly suitable for wrapping exhaust systems. 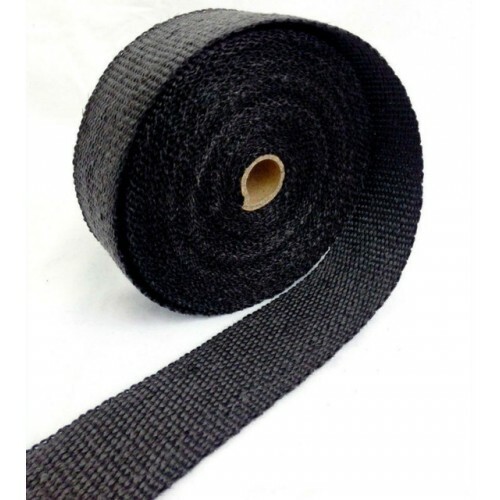 Thereby the vermiculite coated fiberglass based woven wrap is heat insulating and keeps the temperature in the wrapped component. Therefore it protects other surrounding components perfectly from extreme temperatures. The wrap is app. 1mm thick and should be wrapped with overlapping. Note: wet wrapping and wear gloves.